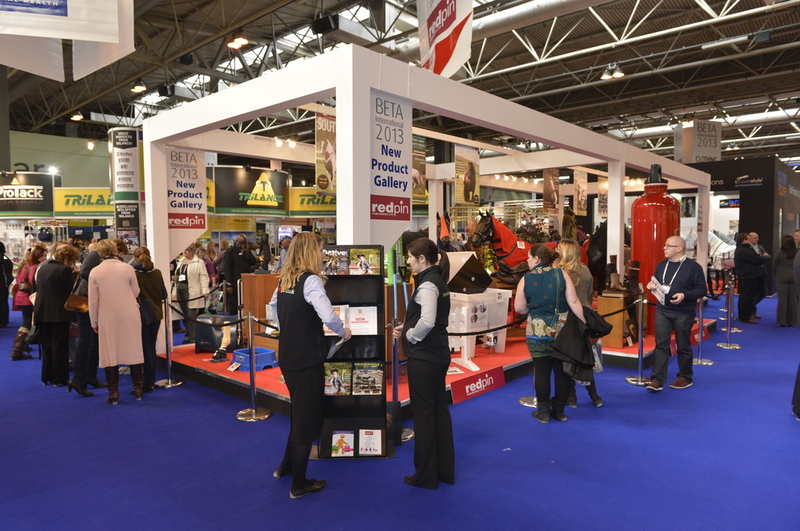 The British Equestrian Trade Association annual exhibition is a chance for the movers and shakers of the equestrian trade world to catch up on new horsy products and techniques. 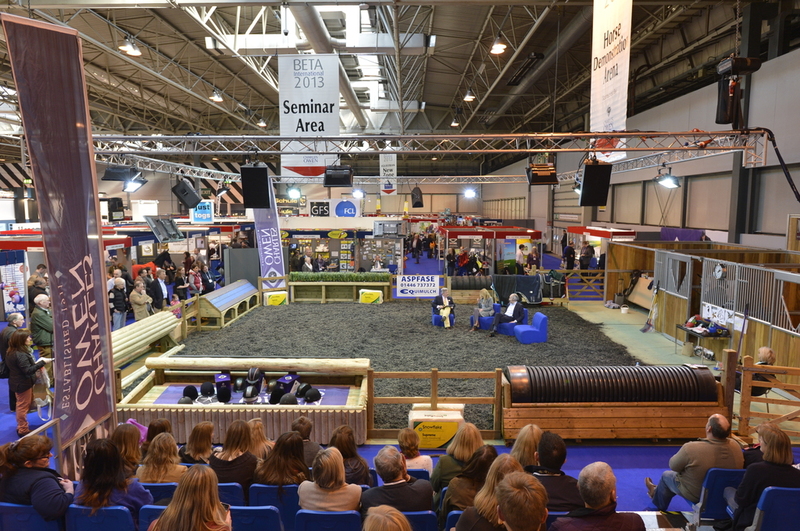 This year’s exhibition, held from 17th – 19th February at the NEC in Birmingham, saw shop owners, vets, equine physiotherapists and other equestrian professionals flocking to the event. 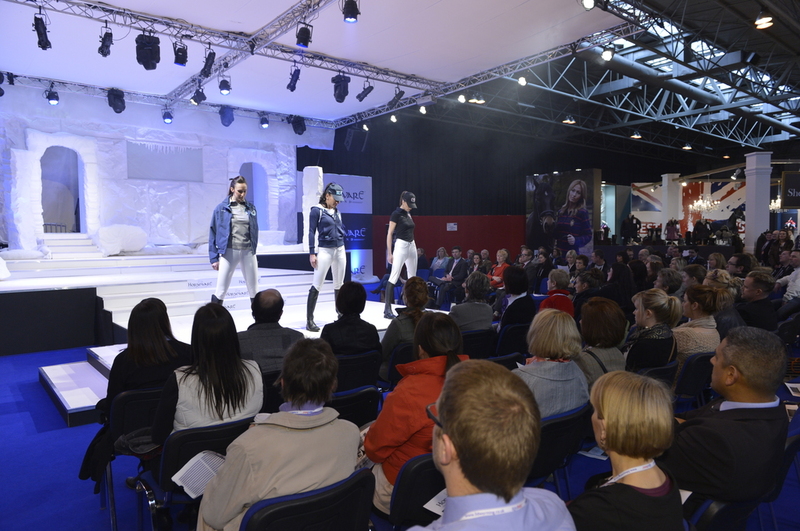 In addition to hundreds of trade stands, featuring merchandise ranging from new clothing ranges, feeds, veterinary supplies and gadgets, there were seminars, fashion shows, demonstrations and appearances by celebrities such as Charlotte Dujardin and Countryfile presenter Ellie Harrison. Virbac launched their new 3D worming solution, the Society of Master Saddlers demonstrated saddle-making techniques, Charles Owen showed us how to find the perfect-fitting hat, hundreds of exhibitors demonstrated their products, cameras clicked, fashion models strutted, and thousands of visitors had a great day out amid all the action. Here’s my pick of who was there. For further details about the show and more product picks, see Hay-net. 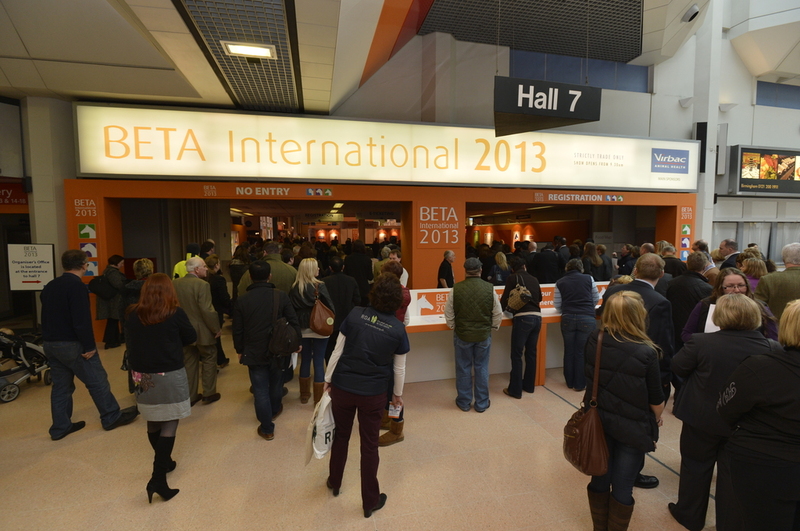 For details of next year’s exhibition, to be held on 16th – 18 February 2014 (yep, they’re planning it already), see http://www.beta-int.com. A new, all-natural hoof treatment, Silverfeet is a daily hoof dressing effective against thrush and bacterial infections. It contains only natural ingredients – beeswax, vegetable oil, eucalyptus and silver, so it’s safe to use on any horse. According to company director Rob Fawcett, the silver acts as an anti-bacterial agent by creating a hostile environment where the bacteria can’t thrive. The product’s been independently tested and cleared by the Veterinary Medicines Directorate (V.M.D. ), and also helps heal cuts, grazes and cracked heels. For more information about Silverfeet and information about stockists, visit their website. Silverfeet is available in four colours, prices start at £12 including postage and packaging. Ever wondered if your horse’s saddle really fits? This new technology from German company horse shape is the high-tech way to make sure. Designed for use by retailers, the operator holds a handset over the horse’s back, where it takes around 1.5 seconds to build up a three dimensional image. The data’s then transmitted to a computer, and the operator can either build up an exact replica of the horse’s back using a mechanical simulator, or send the information to Horseshape who’ll supply a personalised three dimensional template. According to Horseshape’s Jochen Friedrich, it’s the first fully mobile system on the market, designed to make saddle fitting more accurate than ever. More information is available from the Horseshape website. The Equus brand is a new addition to well-established family business Abbey England. Equus is the only range of equestrian rubber products that’s actually manufactured in the UK rather than the Far East, and they offer a unique level of quality. Jane Kane, Equus Co-ordinator, talked me through the main features. “Take the overreach boots, for example. The rubber’s thicker, stronger and softer than other brands, offering a longer product life, better elasticity and a boot that won’t stretch out of shape. The high natural rubber content also means a more comfortable fit for your horse. Equus have also used their knowhow to come up with the ultimate rubber-covered reins. Unlike standard leather reins, which are stiff and prone to deterioration under the rubber coating, the part of the rein under the Equus rubber sleeve is made from webbing, while only the visible parts are made from leather. The rubber sleeve is also soft, supple and fits comfortably in the rider’s hand. Equus products are available from all good tack shops; for more information about the products visit Abbey England’s website. Emily White, Master Saddler, was showing off her stitching skills at the exhibition, and took five minutes out to talk me through a saddler’s life. Emily has been a qualified Master Saddler for eighteen months. To quality, students need to serve as an apprentice for four years and work in the trade for at least another three, giving a total qualification time of seven years. What’s it like being a saddler? It can be a physically demanding job, although I tend to be based in the workshop rather than going out to customers’ locations. Despite the manual element, there are fewer and fewer boys coming into the industry – I suppose it’s just that girls are more interested in horses. We have five saddlers in our workshop – there are two main saddle fitters, and two workers who mainly concentrate on bridle work. We don’t tend to make many saddles from new at our workshop – most of the work we see is repairs, saddle re-flocking and replacement girth straps. How can riders find a good local saddler? Visit the website of the Society of Master Saddlers to find a registered saddler. It’s not illegal for people to set themselves up as saddlers if they’re not registered, but we strongly recommend that customers choose a qualified professional as they then have the full backing of the society in the event of any problems. We have no legislation over unregistered saddlers, and you could be left with an expensive liability. What are your top tips for riders? Keep an eye on your saddle, and ideally get it checked every six months. 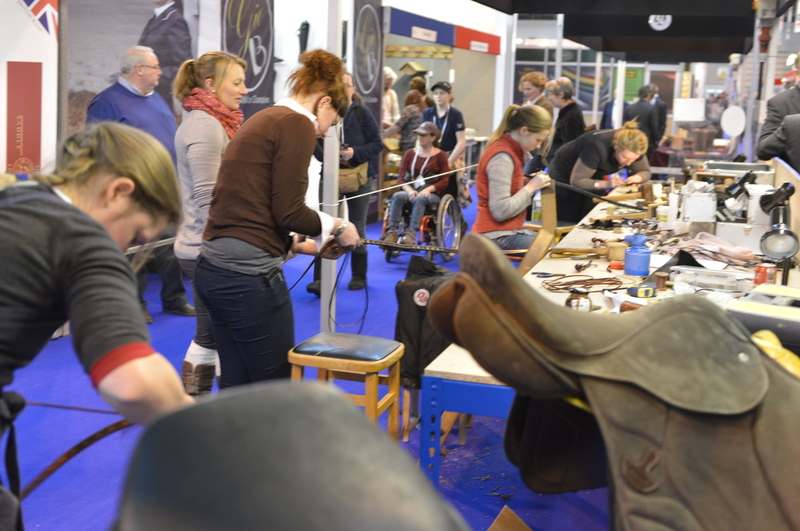 When you have your saddle checked, be prepared to ride in it for the saddler, otherwise we can’t see how it’s working on the horse – it’s surprising how many people turn up without hats or boots, not expecting to ride. One of the more unusual exhibitors this year was Equine Productions Ltd, a video company specialising in equine-themed films. The team consists of horse expert and ex-jockey Nathan Horrocks, cameraman Dave James and producer Sam Fleet. Their current clients include studs, racehorse owners and bloodstock agents, and Nathan’s contacts have made them the go-to company for the production of promotional videos for the racing world. The filming is done via a variety of techniques, from helmet cameras to give a rider’s view to the ‘heli-cam’, a small, remote controlled device that follows the horses to give an elevated view. For more information about Equine Productions Ltd, visit www.equine-productions.com.